I had an aptitude for working with special needs. My ego didn’t get tangled up in the battles. I took delight in the step by step process. I had a gut reaction and a clear visions as to what needed to be done and how to do it. I went from working an office job to working in an early intervention program called PALS. Oh how I loved it! Everyday I worked with these beautiful children who saw the world oh so differently. Who had quirks, and charms, and eccentricities. Who were brave, funny, and sometimes baffled. I met the most amazing teachers and parents. There was one particular child who was ready to transition. He had aged out of our program and SHOULD be in a regular kindergarten class. Yes. Most definitely. PROVIDING he had a one on one aid. I felt a special affinity for this child. I was able to identify triggers, learn how to calm him, soothe, wait him out, and tether him back to here and now. And so, I chose to leave the PALS program and follow this child to the NT classroom environment. This would mean a significant decrease in pay. AND forging the way since this particular school did not really “do” one on one aids. But I believed in this student. I BELIEVE in this process. I was there to decompress, to run interference, to translate, to guide. I went in armed with icons, a small white board, daily sticker charts, and other tools of the trade. I’d love to tell you it was smooth sailing from the start, but I cannot. I CAN tell you that there were days that I was calmly sitting outside the classroom with my student as he had a meltdown………that went on and on. There were days that I would get “compliance” by hand over hand for certain tasks. There were days we BOTH went home exhausted. And yet there were days when he drew a recognizable picture and CLEARLY wrote the word for it. There were days that he addressed his table mates by their name and not “girl” or “boy”. There were days that something inside clicked and the learning came fast and furious. About three-quarters of the way into the school year, the days of being “on” far outweighed the “off” and he blossomed. Now “we” are in first grade. Academically its tougher. And there have been some hard days…. I am working towards unemployment. I see so much progress. I see so much confidence in my little guy. SO what’s the “point” of this particular blog post? 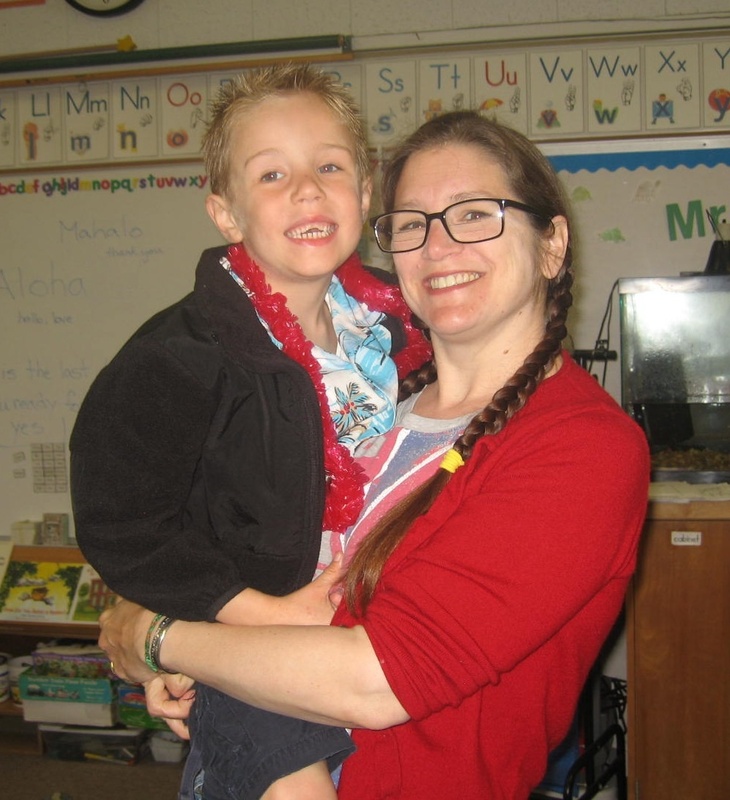 This mom — that I count among the many SUPER MOMS I have met working in a special needs environment– has been tireless in advocating for her son. She has had many a sleepless night wondering what the next day will bring. She has worried and prayed. She has researched. She has listened. She has hoped and she has wept tears of joy. There was a day in his pre school environment that I held this child off and on for well over an hour, trying to move pass a meltdown: compressions, breathing, changing environment, etc etc etc…..just getting calm when SOMETHING would trigger him again and it cycled over and over. He and I sit at “second snack” (a decompression time after recess) He takes deep breaths by reaching towards the sky. We go over his sticker chart/schedule discussing what will come next in his day and we discuss “Gold card” behavior. He goes back to class and writes and chats with his classmates. When things become too much for him he will take breathes on his own, or he will request to sit with me at a table in the corner where it is quieter. Sure, he may obsess about which pencil he needs to write with. Sure, he zones out a bit when there is too much going on. 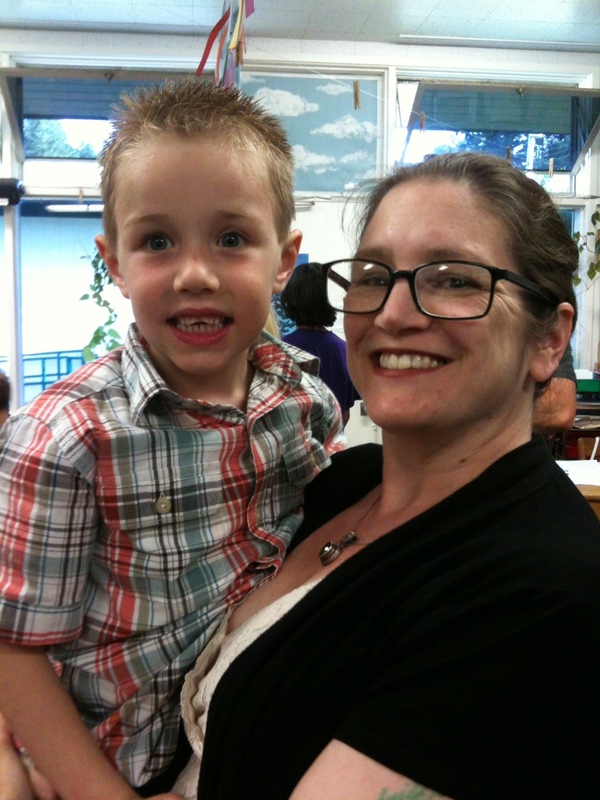 And yes…..there is stimming in the classroom. So when you think that there is no way you can get past this current phase, I urge you to remember…. This too shall pass. Progress awaits on the horizon. Not JUST for my student, but for ALL of us. 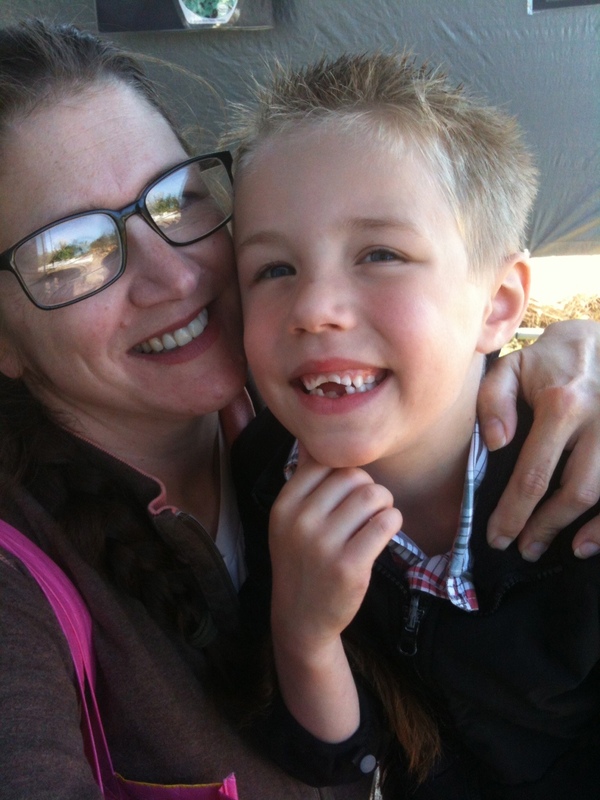 This entry was posted in PARENTING, SPECIAL NEEDS and tagged adventure, autism, education, meltdowns, motherhood, one on one aid, special needs, stimming, temper tantrum. Bookmark the permalink. Beautiful! I’m in tears. Thank you and God bless you for making a difference! You have made such a difference in Andrews life, And my Daughter is so thankful and blessed to have found you….God Bless you Tina Carver..
You sure are an amazing friend, wife, mother, hell everything! I love you girl! That is one happy handsome young man. I know you and his mom are very proud. Hugs. I heart you big time.